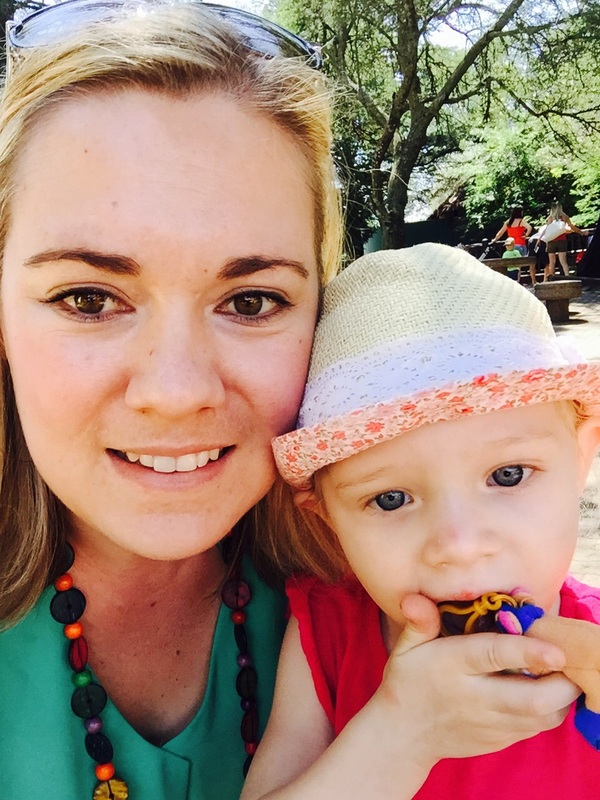 If you thought Joburg was not a great city for small children, you couldn’t be more wrong! It has been a while since I have posted anything. I had every intention of blogging while I was away but once I arrived in sunny SA, the quality time I was spending with family and friends simply became my priority. With that said, we managed to fit so much into our trip that my mind is bursting with blog post ideas! This is truly a wonderful place to be with children. We actually came here a few times during the holiday and Emily absolutely LOVED it here. While it’s primary purpose is a nursery with a vast selection of plants and gardening paraphernalia, they also have a wonderful home décor section as well as a large bookshop called Readers Warehouse that has an excellent children’s section and they host a number of kiddies activities in the bookstore throughout the year. I have very vivid memories of spending many Saturday afternoons here when I was a little girl. This centre truly is a kid’s paradise!! 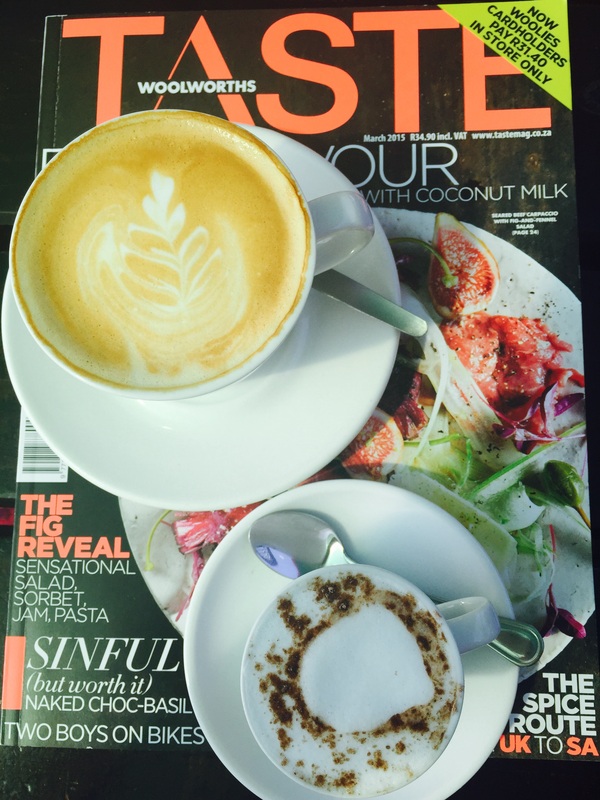 The Silver Birch Restaurant is a multiple award winning restaurant that has pizza making facilities for kids. Parents can enjoy a cup of coffee while keeping an eye on their children with the jungle gym right next to the outside seating area. They also have a small funfair called Playland which has a variety of rides for children. So if you are in the Northern suburbs of Jozi, do pop in! Emily is such a little animal lover and has developed a small obsession with the film Madagascar. This gave me the opportunity to show her some of the animals from the film up close and personal. The zoo is enormous and Emily’s little legs could not get us to every corner of the zoo but she was delighted with the animals we had the chance to see. They have family days, tours, events and dedicated feeding times for animals so the children can get involved. They also have a strong conservation and breeding programme and offer the opportunity to volunteer or adopt an animal. One of the most popular activities is the Evening Encounters. This is to give you the chance to encounter and study the nocturnal animals in the zoo and it will certainly be on my ‘to do’ list with Emily next time we are back in South Africa. 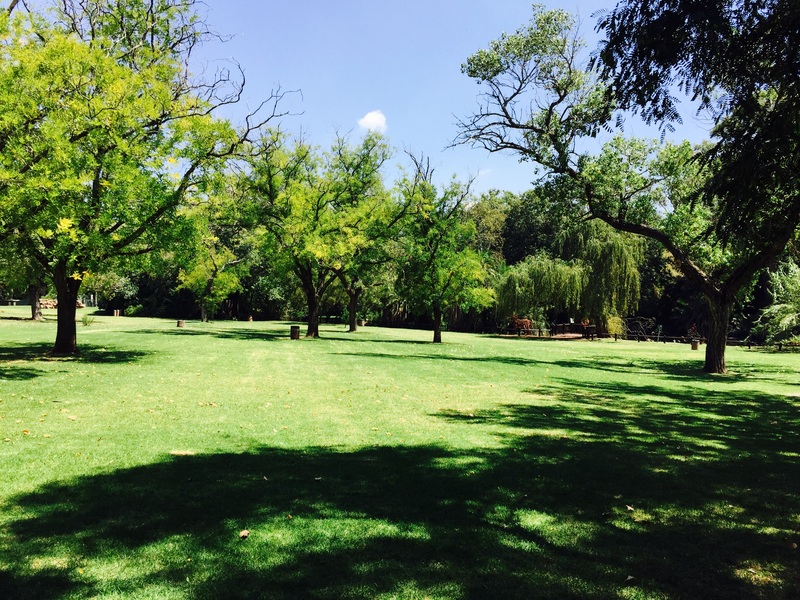 They also have large dedicated areas for you to have a family picnic in the shade, to allow you time to recover from the South African midday heat. The Joburg Zoo, still to this day, is a wonderful day out for any family. This nature reserve is nestled in the Cradle of Humankind which is considered ‘The Home of our Ancestors’ due to its breakthrough discoveries, in this area, in the search for the origins of humankind. This in itself is another great day out for families but the nature reserve was the focus of our attention for the day. 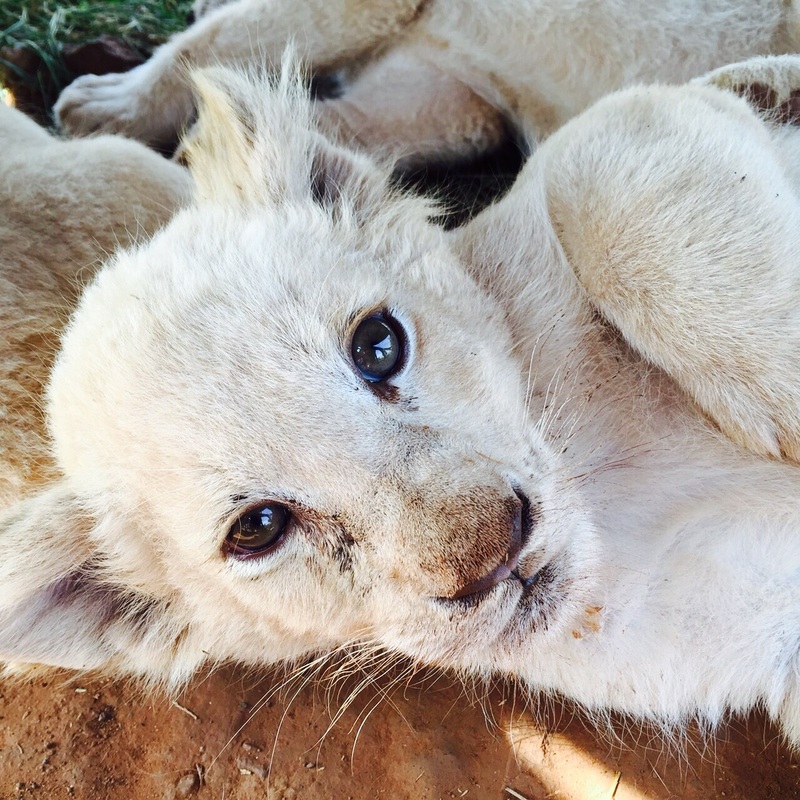 The main reason for our visit was to cuddle with the lion cubs which we had the privilege of doing. This park, in particular, is famous for its work with white lions. The park also has accommodation for those bush lovers and they will allow you to outsource activities like hot air ballooning or abseiling into the wondercave. Once you drive through the gates and see the beautiful Springbok, Wildebeest and Zebra roaming around, you truly do not feel like you are a short drive from the busy city. It certainly is the nearest faraway place indeed. 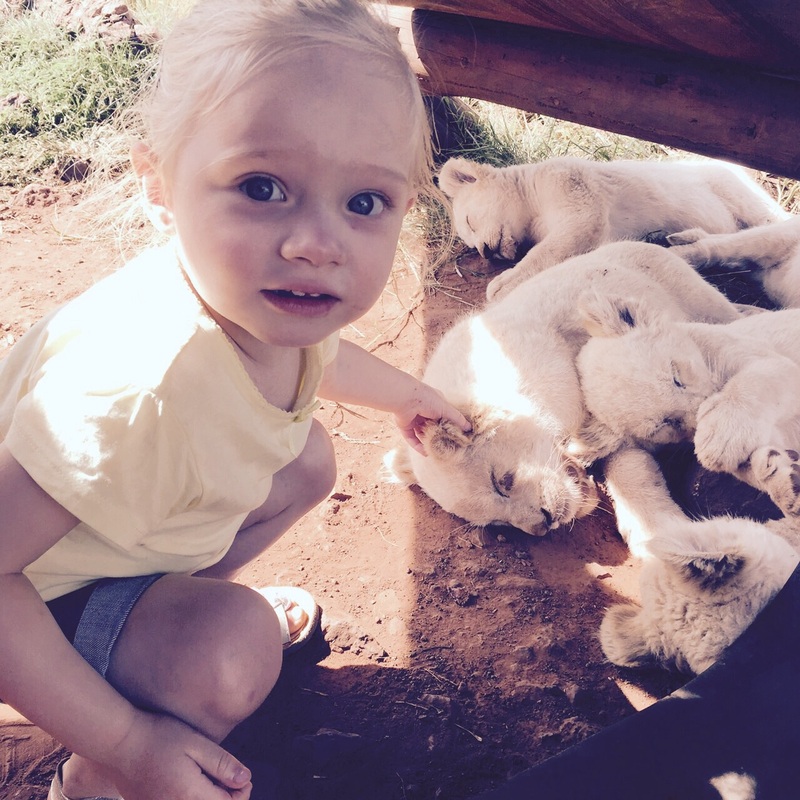 There are so many amazing things to do with children in Johannesburg. Some restaurants offer play area facilities which are staffed so you can enjoy your meal knowing your children are being looked after. We didn’t get to do everything but that’s ok because it means we have left a few things for next time… some of my top child friendly places for our next visit. Jozi has proven that it is truly a city to enjoy with small children. There is plenty to see and do so… go on!! Get outdoors!! Flying with a toddler – It’s gonna be great!